This info is for traders and business men/women that want to import things from Vietnam which they want to resell in Nigeria in particular and Africa in general. Its sad that most African countries import almost everything, especially West Africa where I come from. I hope our leaders wake up before it is too late. Not just the politicians, the youths have roles to play too. Most of the factories in Asia are owned by private individuals like you and me, but we need government support in areas like steady electricity, good roads, cheap bank loans etc. THE VISA PROCESS/REQUIREMENT: As a Nigerian who wants to travel to Vietnam to buy things especially clothes, shoes etc, to get Vietnam visa a Vietnam based company MUST send you Visa Invitation/Approval Letter which you will take to the Vietnamese embassy in ABUJA to get your visa. The Vietnam based company will process the visa in Vietnam with their company documents, they will write that you are one of their customers coming to Vietnam to buy goods, it takes between 5 to 7 days to process the visa in Vietnam. Once the visa is approved in Vietnam, the Vietnam contact will mail you copy of the visa approval letter which you will take to Vietnam embassy to collect your visa. Once you arrive at the Vietnam embassy you submit the visa approval letter together with your passport, within 2 hours the visa will be stamped on your passport. The most important document is the INVITATION LETTER or APPROVAL LETTER from a company in Vietnam, the visa is processed in Vietnam and the visa approval copy faxed to Abuja by the Vietnam immigration. All you have to do is take copy of the approval letter to Abuja together with your passport and visa fee. There is no need for bank statements, tax clearance certificate or any document which most western European embassies request. VIETNAM VISA IS PROCESSED in Vietnam by the person or company that is inviting you. You don’t have any role to play, when visa is approved in Vietnam the person or company in Vietnam will send you the Visa approval copy to take to Abuja to collect your visa. No question is asked, no other document is required in Abuja other than the visa approval copy and your passport and visa fee. BTW, Vietnam Embassy in Nigeria is located in Abuja. Address: No 9 River Niger street, Off Danube street, Maitama, Abuja, Nigeria. NOTICE: If you are a Nigerian and you need visa assistance contact me for more details. I also can help you with cargo and logistics services. SHIPPING COMPANIES TO USE: I have 5 different shippers/cargo companies that i work with. The companies I work with can deliver cargo in any city in Nigeria between 3 to 7 days and container within 1 month. If you are shipping anything from Vietnam just contact me for rates. I also offer cargo and logistics support services for Turkey, Cambodia, UK and many other countries but I will concentrate on Vietnam for now since this post is about Vietnam. COST OF SHIPPING: The cargo or shipping cost from Vietnam to Nigeria is $5 per kilo. Its same rate for China, Turkey, Malaysia, Indonesia etc. AIRLINE: Many airlines go to Vietnam from Nigeria, there is Turkish Airways, Emirates, Ethihad Airways etc. Personally I prefer Emirates Airlines though their fares are a little bit higher. I prefer Emirates to any other airline. AIRFARE: Airfare changes almost everyday like forex, it depends on what time or season you are travelling. At the moment airfare from West Africa to Vietnam is about $1,500, some airlines charge lower while some charge higher. So to know the exact cost of airfare just go to any travel agency in your city or you check online. HOTELS: Hotels are extremely cheap in Vietnam. There are many 3 star hotels for $20 per night. My preferred hotels are Hotel Tien Phu, Ngoc Hoi. 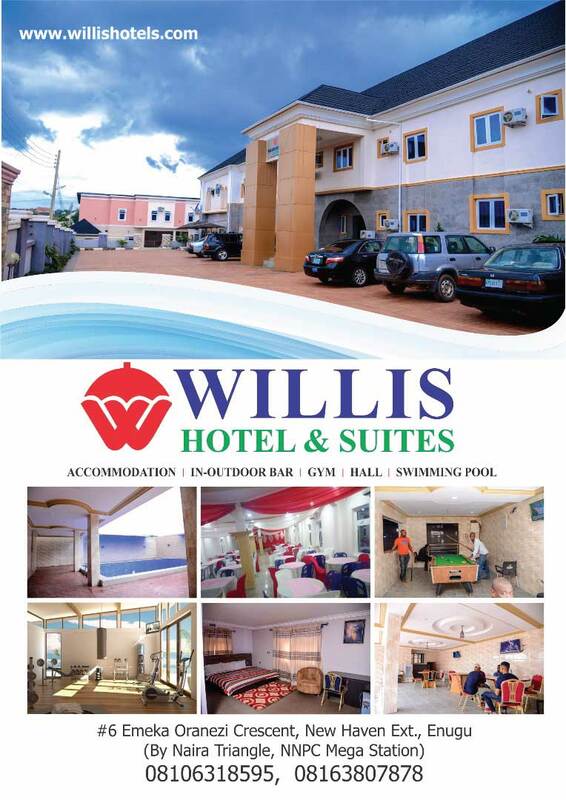 Contact me for more hotel names and their contact details. TAXIS: Most Vietnam Taxis do not speak English, your hotel or travel agent should be the one to arrange taxi for you. In Vietnam I have only 2 taxi drivers that speak English. Every taxi has a meter so there is no cheating. If you want to buy or source items directly from Manufacturers, warehouses, wholesalers etc just let me know, i will connect you to some trusted contacts on ground in Vietnam. During my first visit to Vietnam I wasted lots of money to so called agents bc i was a novice then. For instance, the first agent i worked with was charging me 50 cents per whatever item i bought. For example, lets say he took me to a shop where i bought 200 pairs of shoes, i paid him 50 US cents times by 200. You do the maths. Same thing if i buy 200 pieces of ladies wears, he gets 50 cents per wear. Later on i meet some nice guys who are ready to help with very little fee. With me you wont make the same mistakes I made. Just mention what items you want to buy, i have boys that will take you shopping for days or weeks, when you are done shopping you give them whatever fee you feel comfortable with. truth is, if you treat them well next time they will be happy to assist/shop with you, but if you are stingy next time you wont see their break light. WHAT NIGERIANS USUALLY SHIP FROM VIETNAM: When it comes to highest quality clothes/shoes at the cheapest prices no country comes close to Vietnam. Vietnam is the number one choice for anything FASHION. I have imported clothes/shoes from many countries like Hong Kong, China, Turkey, Indonesia, Thailand, Cambodia, India etc before i settled with Vietnam. These are some of the items you could import from Vietnam and make good money in Nigeria; clothes, shoes, football, tiles, furniture, bullet proof doors, sanitary wares, diapers, energy bulbs, aluminum products etc. QUALITY: This is a tricky one. A friend of mine returned from Canada last year, he brought couple of shoes for his younger ones. Funny thing is, his immediate younger brother rejected some of the shoes, not that the shoe quality is bad, but because the shoe label says MADE IN CHINA. My friends brother is 25 years old, in his mind he believe all Asian products are fake or inferior, especially Chinese products. This is not true. China is like a hotel, you have 1 star hotel and 5 star hotel. Sad thing is, Africans like cheap things which is why most Nigerian importers prefer to ship cheap things to Africa. Its only in Nigeria and Ghana you see someone wanting to buy highest quality shoe at $5. Truth is, Europe and America does not produce clothes/shoes anymore. Most shoes we wear today are made in Asia because of cheap labor. LEVI, the america jean producer closed their last factory in USA, all their products are now made in China. Vietnam produces high quality products. Most shoes in UK/European shops/boutiques are made in Vietnam. Those in Europe and america knows what am talking about. HOW MUCH TO START WITH: Many people have asked me this question and I don’t think I am the one to tell you how much money to start a business with? Let me break down some of the expenses so that you will have an idea of how much money to start with. Airfare is around $1,500 (more or less) depending on which airline you use, food/hotel/ground transportation will cost you another $300 depending on how many days/weeks you stay in Vietnam. Now do the maths. Apart from your expenses money, if you are traveling that far to buy clothes you should keep at least $4,000 minimum to buy your items. This $4,000 is excluding your expenses money like flight/hotel etc. Not that you cant start with less amount, but my opinion is for someone to travel that far and spend all these money for flight and everything you must have enough capital to buy goods, bc the more items you buy, the more profit you make. Am sure by now you will know how much money to travel with? ADVISE: I want to give personal advise as a Nigerian brother. If you plan going to Vietnam or Asia to buy or sell drugs please stop now because there is 99% chance you will be caught. If you are on Facebook, open the Facebook page of Cambodia or Vietnam Drug Law enforcement agency, you will see the sheer number of our brothers serving different jail terms in Vietnam and Cambodia. So many of them are serving 35 years in prison. If there’s any info I didn’t remember today I will add later. If you have anything to add to make this post more interesting please do. I will add some videos and other info later as I am very busy today. Stay safe and best regards. Wow, such a nice & detailed article.